The following terms of admission apply to enrolment at Montessori Start Inc.
Parent has signed and submitted the Parental Authorization for Medical Attention and Treatment form. After two (2) returned payments or payments in arrears, subsequent tuition payments must be made in cash, certified cheque or bank draft. In the event of withdrawal, sixty (60) days written notice must be submitted at which time remaining payments beyond the 60 days will be returned to the parent with the exception of the registration fee and deposit which remain non-refundable. The undersigned understands that enrolment at Montessori Start Inc. includes the 10 month academic year from September to June or the remainder of the school year after the initial start date. The school is closed for statutory holidays, Winter Break and March Break. Attendance at Winter camp, March Break camp, and Summer Camp is optional at an additional fee. 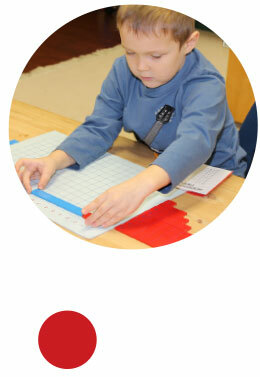 The undersigned understands that during the child’s daily activities at school, injuries may occur and agrees to release and indemnify Montessori Start Inc. from any and all claims and damages arising as a result of any accident, injury or incident involving the enrolled child as a result of his/her participation in any school activities that are not caused by a direct negligent act/omission of Montessori Start Inc. or any of its staff. Montessori Start Inc. reserves the right to exclude any child from attendance, temporarily or permanently, who is deemed by the Principal to be interfering with the health, safety, and educational development of him/herself or any other child in the school. If your child is asked to withdraw, the initial deposit and registration fee will be retained by Montessori Start Inc.
Montessori Start Inc. reserves the right to terminate services if above conditions are not met.